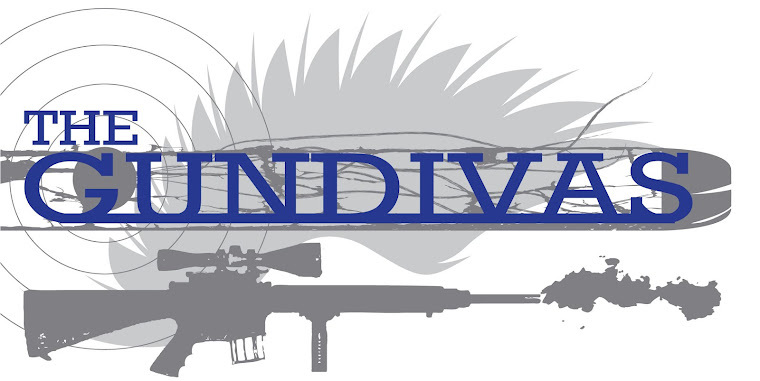 The GunDivas: THE PEOPLE vs. U.S. LAW ENFORCEMENT? Back in the ‘60’s, the British rock group The Tremeloes had a hit song entitled, “Silence is Golden.” I think there is a lot of wisdom in that phrase. There comes a time, however, when a person stays quiet as long as possible, but then cannot deal with the silence any longer. So, I have decided to finally speak out on some of the issues relating to use of force by law enforcement. Where to begin . . . where to begin . . .
Let’s start at the beginning, and with a question: Who is responsible for enforcing the law here in these United States? The obvious answer would be law enforcement agencies. That answer would probably be technically correct. There is, however, a deeper response. Our process of dealing with law-breakers has its roots in old England. Centuries ago, when a farmer had his prize cow stolen, there was no local law enforcement officer with whom to file a complaint. Instead, the farmer would call upon his neighbors to help him get his cow back and deliver some justice to the culprit. In our scenario, let’s say his neighbors are another farmer, a blacksmith, a barrel maker, and a tavern owner. It would be each of these individuals civic responsibility to drop what he was doing and assist the victim of the theft. As one might imagine, this could prove to be a costly duty to the others who were not looking after their own livelihoods during the pursuit of the thief. So one day, the tavern owner got the idea that he would pay a small sum to one of his regular customers, who had a seasonal job, and this being the off-season, to take his place in the posse. This turned out to be a win-win situation. The tavern owner got to stay at his business establishment to safeguard his source of revenue, and the customer picked up some much needed extra coins. In other words, the tavern owner got out of having to serve on the posse without shucking his civic duty. What a country. Eventually, the tavern customer also picked up extra posse work from the other farmer, the blacksmith, the barrel maker, and other nearby folk, and in time, turned this venture into a full-time occupation. Sounds a lot like law enforcement, doesn’t it? It is not my purpose here to give a history lesson as much as it is to make the point that those living in the community with the victim farmer never dodged their responsibility to their neighbor. The means might have changed, but not the accountability. Fast forward a few centuries. The plan of action has changed, but the obligation for seeing to it that the criminal justice system functions properly is still the obligation of our citizenry. Honest, transparent and effective policing in America cannot exist without support from the public. In this country at the present time we have people with a lot of mouth who possess much ill-will toward law enforcement. These people have a hatred for anything functional and traditional. They are quite simply activists with an agenda. They are charlatans and pimps who will sell out anyone and anything to shine the light on their selfish egos. Within the context of the subject matter herein, I believe it to be clear that the purpose of their lies is to drive a wedge in the relationship between law enforcement and the communities they serve. The activists have the national media as their allies. Together, the activists and national news media are describing the relationship between law enforcement and the public as now being “toxic.” For a large part, the toxicity is affecting the public who do not possess the knowledge necessary to keep from being infected by the hucksters. Unfortunately, most people get their knowledge of law enforcement functions from cop TV shows and members of the media (liberal and conservative) who have no clue of what they are talking about. Although I’m old enough to know better, I’m still intrigued by the fact that friends, family and others who know me – even those I know mostly through Facebook – make ignorant comments about “police culture” and actions. I usually don’t make the effort to engage them on the subject. As they are usually talking around me and not to me, I just let their ignorance flow. I went to a scheduled appointment with my cardiologist a few weeks ago. He and I talked for approximately 20 minutes. He took about a minute to look at my records, and then another half-minute to listen through his stethoscope. The cardiologist, knowing that I am a law enforcement trainer, spent the remainder of our time together attempting to grill me on the use of force by law enforcement officers. I would go as far as describing the encounter in such terms as he was trying to “bushwhack” me. What he did not know was my extensive knowledge and training in use of force. Our discussion remained respectful, even though he began the conversation by asking, “Aren’t you the least bit concerned about what is going on with the police using force?” As my cardiologist is African-American, I knew from his phraseology, tone and other mannerisms exactly what he was talking about. Wanting to keep the high road, I never directly addressed the racial component of law enforcement use of force. I used the time to present a cursory explanation of use of force constitutional law and some of the science involved in these actions. Sadly, I don’t think I got through. The toxicity level was just too high. Former Attorney General of the United States, Eric Holder, embarrassingly had to step before the cameras recently and admit that the entire narrative by the protesters in every demonstration in every part of the country after the use of force incident in Ferguson, Missouri was based on a lie – “Hands up/don’t shoot.” Holder and the Department of Justice deserve much of the blame for the bias and unsubstantiated reporting by the media. Because of the lies, people were hurt, businesses destroyed, and law enforcement officers and their families were harassed and their personal information was hacked. Communities have been damaged. Every cloud is said to have a silver lining. Although you will not hear it from the national media, support for law enforcement remains strong in most communities. Even in New York, where the practice of “stop and frisk” has been disparaged so vehemently by people who do not know what they are talking about, 68% of the people approve of the method. Trust between law enforcement and the communities they serve must be maintained. Law enforcement officers are not perfect. The United States Supreme Court has said that when it comes to use of force, officers do not have to be perfect, only reasonable. There are officers who should never have been hired to begin with. The United States Department of Justice bears a lot of responsibility here, too. First and foremost, however, I blame those that do the hiring. I will address these and other issues another time. A most excellent post with valid points of explanation. Thank you, Jerry. I am sharing this on Facebook.